← Is That Cthulhu in Your Pocket? In my never ending quest for pain relief, I decided to step back and take a more holistic approach. Unfortunately my last set of injections did not take and the last week and a half have pretty much been nothing but pain. Ninety percent seems to stem from a set of extremely deep seated trigger points on the left side of my spine – and I’ve tried everything from trigger point injections/facet joint injections/acupuncture/capsaicin wraps/ice/TENS/PT – you name it, I’ve tried it. Last week alone, I ended up taking Vicodin, Percocet and Valium with little to no relief at all. And even if it took the edge off, most of the meds either knocked me out or gave me migraines or nausea. So, last week I bought a bunch of books on chronic pain, all of them swearing they had the answer. Most of what they had there were exercises, both physical and mental, as well as deep breathing techniques. I’ll be perfectly honest – most of this stuff doesn’t work for me. Sometimes I can fool the pain into shifting a bit, but I’ve been suffering with it for years now. It’s very difficult to break the cycle. But one of the books had a list of herbal supplements that some people had success with, so I figured why not? I started with Turmeric – which is the spice that is used to make curry – I just bought it in capsule form and took one and about 15 minutes later, I could actually feel the pain starting to drain away. After a few hours I could feel it start to wear off so I took another one before bed and again, the pain went away. I also got heartburn – probably because it’s a bit spicy. I also noticed my stomach feeling a little prickly when I took it the next day as well, so it could be that I just don’t react well to the hotter sorts of spices. Now it could be that I’ll start getting resistant and it will stop working, but hopefully not. I did a little research and there doesn’t seem to be any long term effects for taking either supplement. Interestingly enough, Willow Bark has been proven to be as good or better as Vioxx for pain relief (at least for backs), but without side effects. And it only cost me $5.00 for a bottle. Wow, that's great to know! I'll definitely check out willow bark for my back pain. I'd be really interested in hearing how it works. 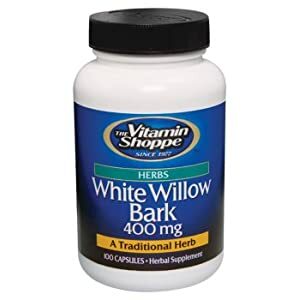 The big thing to note is that Willow Bark is essentially old school aspirin – so if you have problems with aspirin or you take other medications that it might interfere with, then you might not want to take it. Heeeead, shoulders, knees and toes, knees and toes! No? What if I put a pic of this on 'da floor by your toes? Hmm? Bwah hah ha ha hahahahahahah! I should just make you in charge of finding all my man candy pictures. I mean, he's *wearing* Hello Kitty underwear. It doesn't get any better than that. Glad you found something that works, good lady.